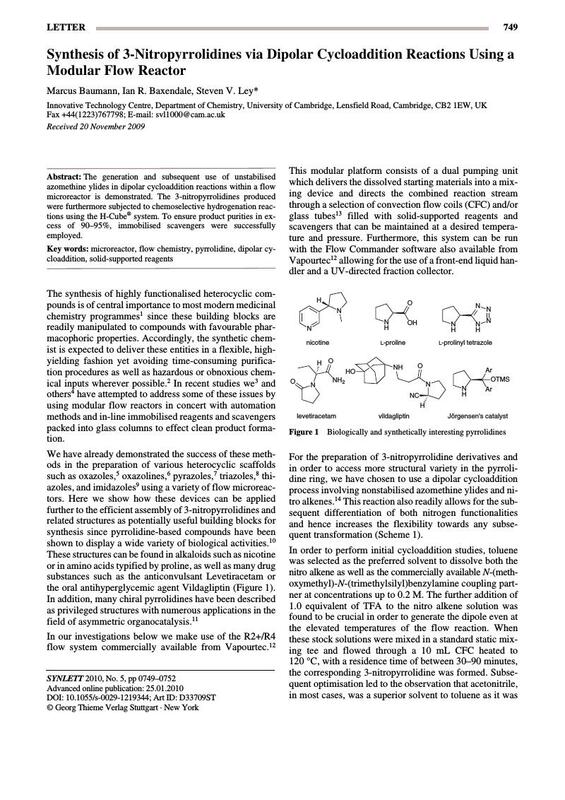 The generation and subsequent use of unstabilised azomethine ylides in dipolar cycloaddition reactions within a flow microreactor is demonstrated. The 3-nitropyrrolidines produced were furthermore subjected to chemoselective hydrogenation reactions using the H-Cube® system. To ensure product purities in excess of 90-95%, immobilised scavengers were successfully employed.